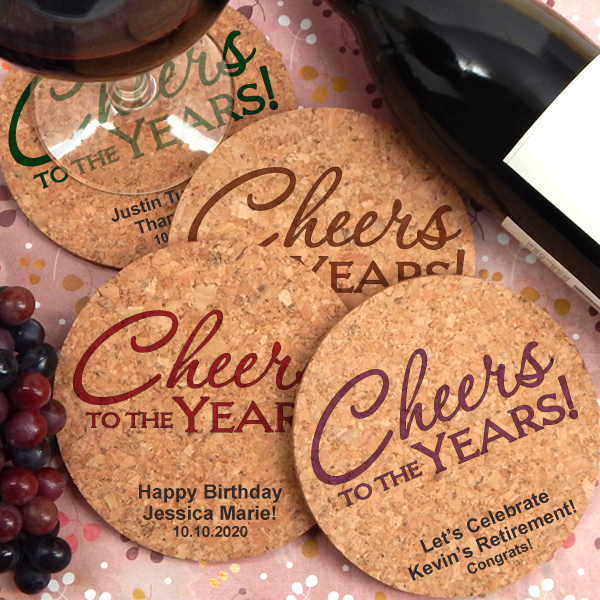 These personalized cork coasters are the perfect retirement party favors. They not only absorb moisture and protect tables at the party, but guests can take them home as a memory of the celebration. With the phrase "Hello Pension, Goodbye Tension" you have a custom message placed at the bottom of the coasters. 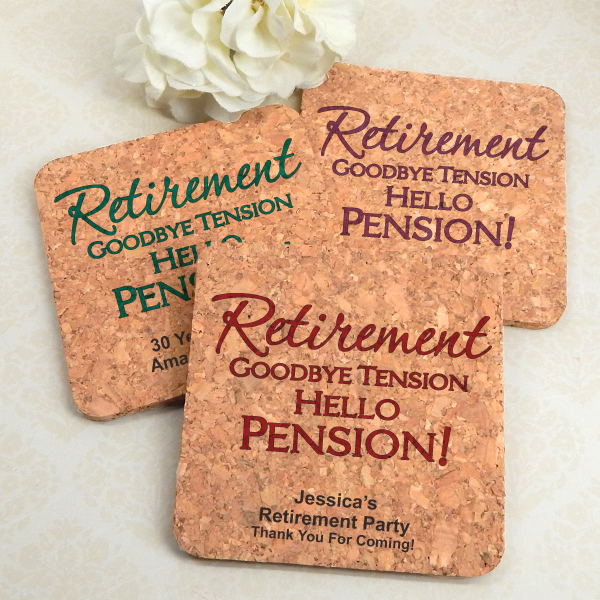 Choose either a round or square shape for these popular 4" coasters. Since they are made from natural cork, they may vary slightly in color and thickness. These coasters ROCK! 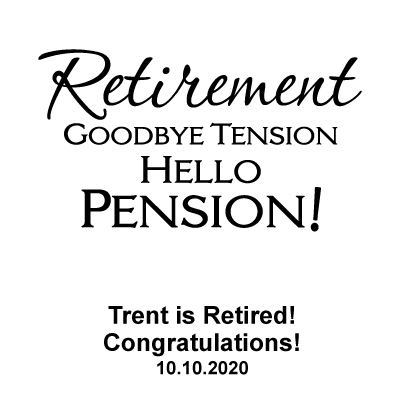 They were a hit at the retirement party. Well done and arrived in a timely manner. The Cool Party Favors offers so much in selection and pricing.